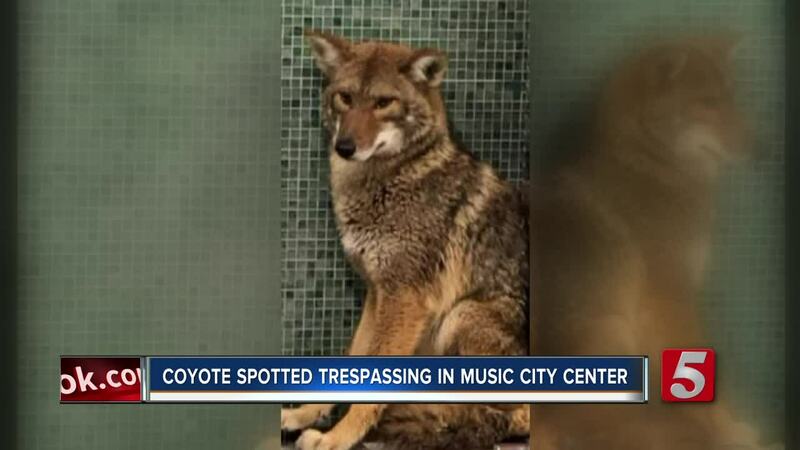 The Music City Center in downtown Nashville had an unexpected visitor Sunday night after a coyote wandered into the building. "He ran up the ramp, and was continuing to run, and then he got into the showroom and several of the employees kind of like made a half circle around him and guided him to the bathroom. So he wouldn’t want to get into other areas where other people were at. 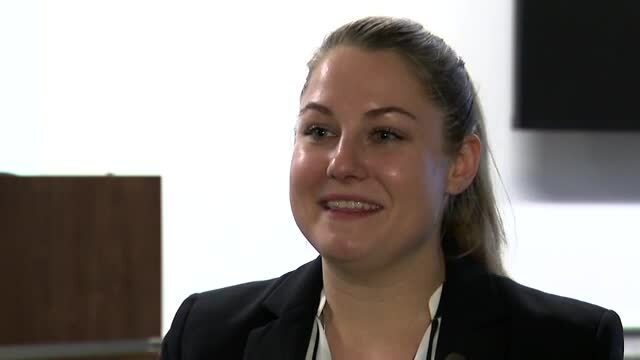 They kind of forced him into that area and then were able to shut the door." The coyote got in after running past a security checkpoint at 7th Avenue and Korean Veterans Boulevard at 10:20 p.m.
“Apparently, the coyote was looking to purchase a boat, but instead went into an exhibit hall where members of the MCC team were working,” the Music City Center said in a release. Employees were able to contain the coyote in the bathroom while Metro Animal Control arrived. The animal was later released back into the woods.